What is the Liebster Award you might be asking? Liebster means beloved, favorite, dearest in German. The Liebster Award and is given to bloggers with less than 200 followers to promote and encourage new friendships among the blog community. 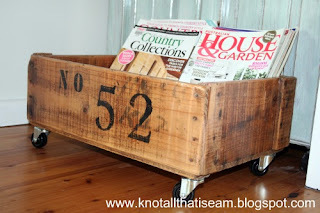 After Debbie from Inspired Honey Bee received the Liebster Award herself, she passed on the love by nominating my blog, and in particular my Numbered Crate On Wheels, with the same prestigious and humbling award. "Repurposing is so important to me and if I can't sell or donate it, there will be a new use. That's what I love about Knot All That I Seam (clever, I know). 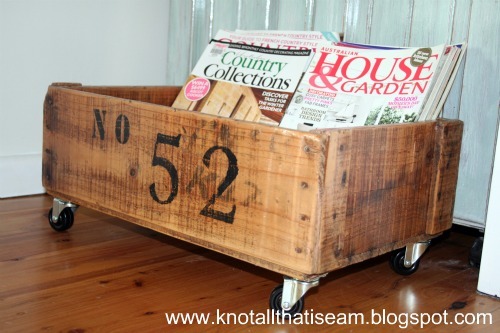 I recently fell in love with her numbered crate on wheels and I hope to find something similar to put some potted plants in! Thanks for sharing your inspiration with us!" While you are there, be sure to check out Debbie's amazing blog.